Local SEO isn’t only for smaller businesses. 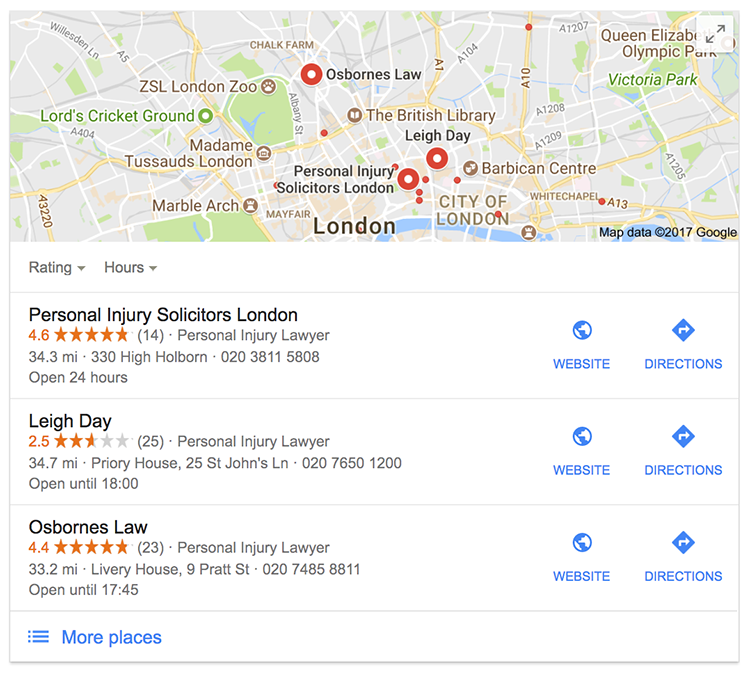 No matter how big your law firm may be, having bricks and mortar business locations means you must optimise for local search. If you want to maximise your foot traffic, you have to start local – it’s as simple as that. With local SEO it’s not about size; it’s about location and optimisation. So we thought it would be a good time to release an updated guide to local SEO for legal marketers in 2017 – with actionable tips every step of the way. Local SEO has changed a bit over the last few years. Instead of the old seven-pack of local search results, we now have three. Of course, this means the competition to be seen on the initial results page is tougher, but the reduction also gives users more reason to click through to see more options. Finally, Google has worked in recent years to make its local results more relevant. Specifically, user location is more important than ever and how Google interprets their query plays a larger role. Look beyond the pack: Don’t obsess over showing in the three-pack for local results – especially for competitive searches. Yes, it helps to be visible but the new format encourages users to click through and see more results. Aim to be visible there and win clicks with positive reviews (more details on this later). Look beyond local: Also, remember paid ads and top organic rankings provide other areas where your brand can gain visibility on the initial results page. Use Google Maps ads for expensive keywords: Ads in Google Maps tend to be cheaper than regular search ads, which could be useful for competitive keywords (legal keywords are among the most expensive in AdWords). 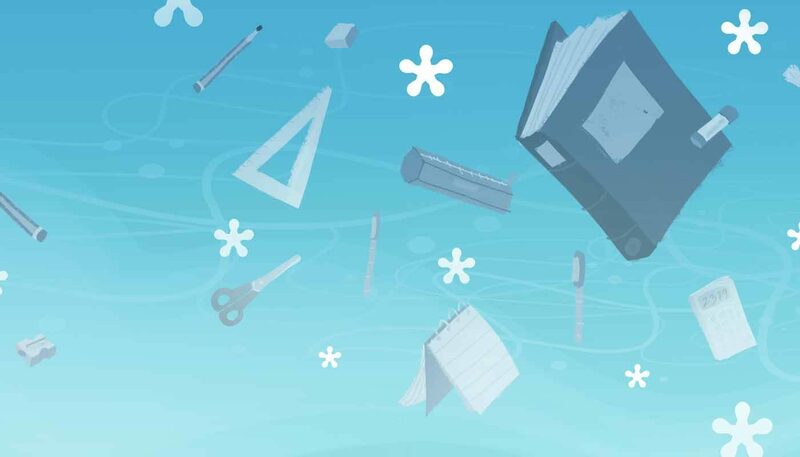 While there are no fixed “local SEO” ranking factors per se, there are a number of factors that jump to the top of the list for local searches. This one’s hardly a surprise, is it? But Google has made user location even more relevant for local searches in recent years. More specifically, the ideal radius surrounding a user is smaller now than it was five years ago. This one is particularly important for law firms. You need to be as specific as possible with your category choices too. If you’re primarily a personal injury specialist, choose “Personal Injury Attorney” as your primary category. You can add additional categories but you’ll need to focus on one, highly specified area to get the best possible local ranking. Your business name, address and phone details should be consistent everywhere on the web. Be specific about the details you put into Google My Business and make sure your citations appear exactly the same elsewhere online. Don’t switch from +44 to 07 or from Street to St. as you list your business in local directories. Of course, you can’t control how other people cite your details (although you could reach out for corrections) but your own citations should be perfectly consistent. As you can tell by now, citations are pretty important in local SEO and the more of them you have from authoritative, relevant websites, the better. Having citations on authoritative and relevant websites located in your area is even more beneficial, so do what you can to get your business mentioned. Google likes to show listings with positive reviews but they’re also incredibly important for maximising clicks. We’ll be talking more about these later. Every town, city or location has an identified “centroid” which marks the centre of that specific location. This was previously one of the most important local ranking factors until Google put the emphasis on user locations. However, many people still type in location names (eg: London) when they search, which brings centroids back into the equation. Make sure your title tags, URLs, headings, image file names, alt tags and meta descriptions are all optimised to include your location name and Google My Business primary category. Aside from the seven factors we’ve mentioned already, the quality of backlinks pointing to your site also plays a massive role in your local ranking. Once again, Google still uses the same ranking factors for local and non-local queries – the order of importance is what changes. Focus on what you can control: You can’t choose where users are when they search but you can fully optimise your site, Google My Business account and online reputation. Make reviews a priority: It’s not only Google who wants to see previous clients are happy with your law firm. Look at Bing: Microsoft’s search engine is getting bigger in the UK, which means a growing local audience your rivals could be overlooking. Also, be active and conversational on social media. This will show clients you’re a modern law firm that interacts with people online – the kind of firm people would naturally leave online reviews for. As for citations, the key is to aim for sites with a strong online reputation themselves. Likewise, they should always be relevant to you or some kind of topic that connects you. This doesn’t mean you can only reach out to sites in the legal sector, though. They could be car review sites on the basis of improving driver safety or increasing awareness about their rights, for example. Once again, local citations are even better if they’re still highly authoritative and relevant. However, the number of sites that tick all of these boxes reduces as you localise your strategy. Keep this in mind. 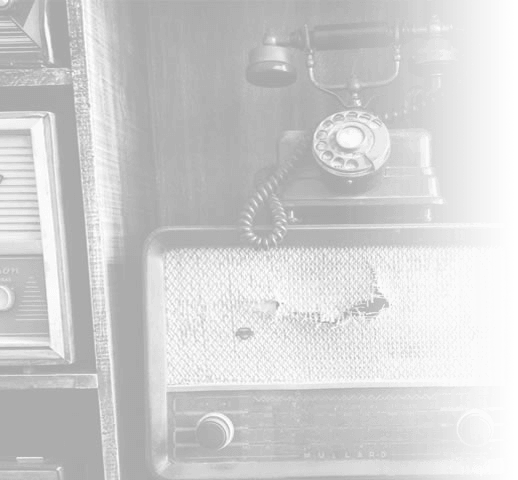 Call tracking: If you only have one business location, set up call tracking to attribute leads from your local listing. This doesn’t work so well if you have multiple locations to list (although it’s still important for website and AdWords leads). Don’t localise everything: Local searches tend to be high-intent. These are people in your area looking for legal advice in the near future – but this won’t be their first online search. Use broader, non-localised keywords to reach people at earlier stages of the search process (e.g. “What should I do when I’ve been in a car crash?”). Be strategic with AdWords: High-intent searches typically mean higher competition and keyword prices. That said, you might be better off paying the price for instant traffic from AdWords for some of these search terms. Local SEO in context: Local SEO is one part of your wider search marketing strategy. You’ll want to find the right mix of local, traditional and paid search strategies to maximise leads – both online and offline. Did you miss these other legal articles? 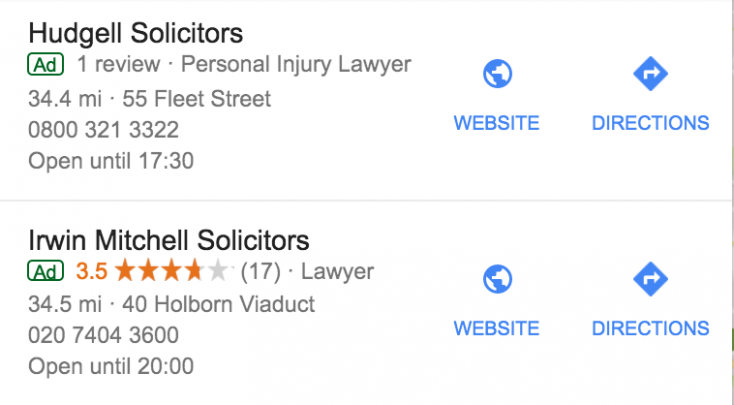 If you need more help with improving the local search visibility of your law firm, speak to our team of legal search marketing experts today. You can fill out the form below or call us directly on 023 9283 0281.